All students have the option of having their photograph taken in costume by Revival Arts Studio at FVAD’s School Photo Days 2019 on June 15-16, the weekend before our school shows. This is a wonderful opportunity to obtain extremely high quality images by an award-winning photographer. The schedule and order forms are below. Students performing in the school shows are photographed in a group photo for each dance, and may also purchase an individual pose as well as the group photo. You will need one form per costume (ie. per dance photo). Provide your total payment in CASH OR CHEQUE for all forms combined. Forms are to be handed to the photographer with payment on Photo Day. Order forms are also available at the FVAD office. PLEASE ATTEND YOUR GROUP PHOTO EVEN IF YOU ARE NOT PURCHASING: We encourage all students to attend their dance group photo as there is no charge to be in this photo. We use these photos for promotional purposes, and as an archive of our current and former students. Students must place an order for a photo item in order to have an individual pose taken. Students wishing to obtain a copy of the group photo may then purchase one. Please arrive at FVAD at the Arrive Time, and collect your child at the Pick-Up Time. Additional time has already been scheduled for students to be changed in and out of costume between these times. 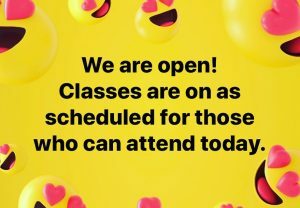 Learn more about our School Photo Days. 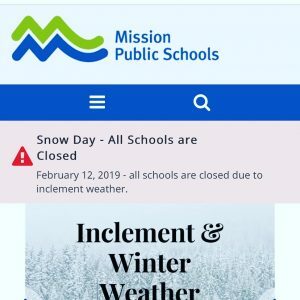 School is open – stay tuned for updates. 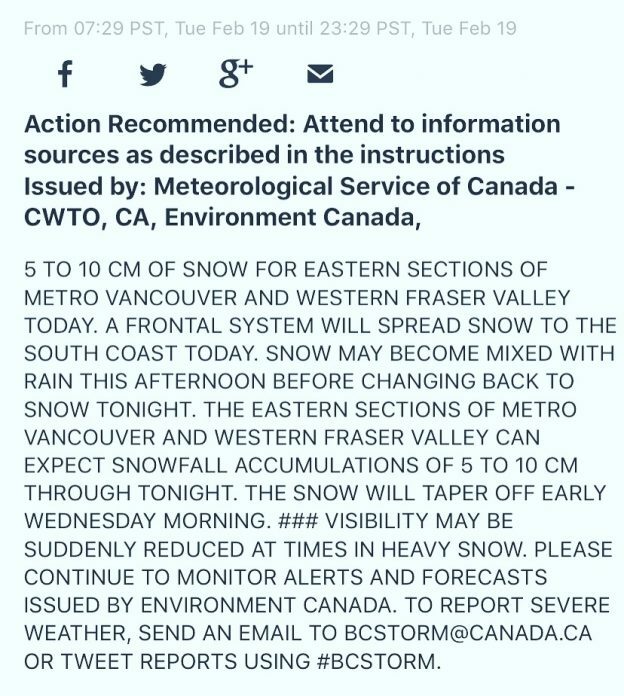 We are monitoring a possible snowstorm expected to bring 5-10cm of snow today and again tonight. We will update by 11am for PPA classes, and 1pm for after-school classes, if there is any change to today’s schedule. 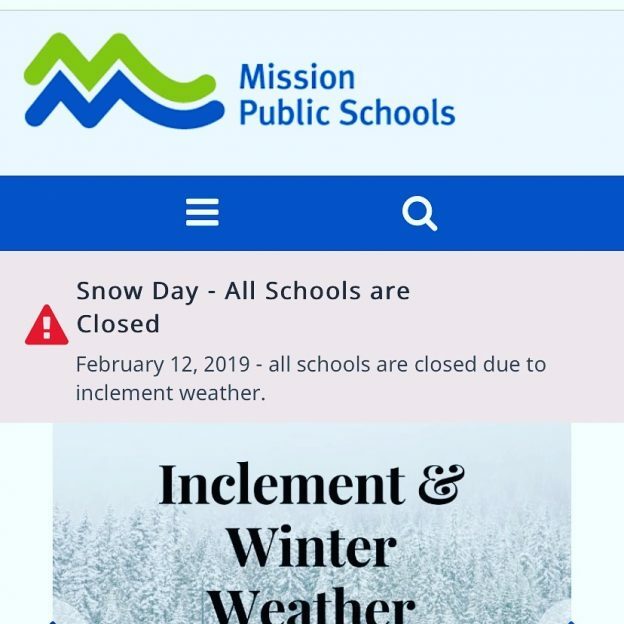 Our school is closed today due to the snow. 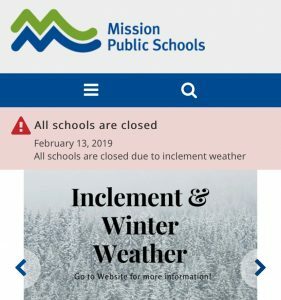 All Mission School District schools are closed today too. 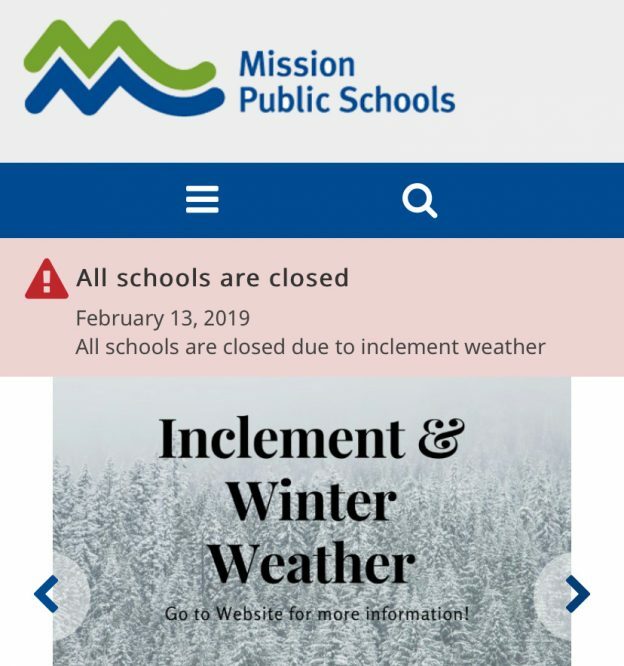 Stay warm everyone!